Beautiful colours, looks a little like a oil painting. gorgeous, like an impressionistic painting. Like an oil painting - very lovely. Excellent photograph, very good reflection, good day full sun. 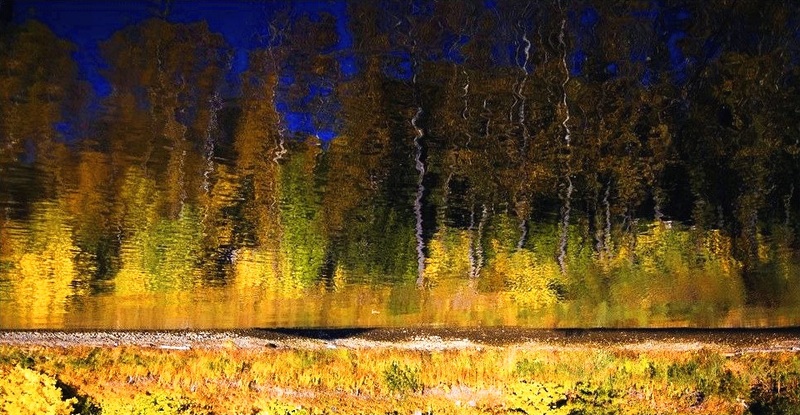 Fantastic reflection, an almost abstract painting. just like a painting! beautiful! A great idea to invert the painting - and the result has a very impressionistic feel that quite superb. did you made a giclee print with it? ---> what does it mean "giclee"?